Creating a new diagram in Creately is very easy and we will help you along the way by providing diagram templates and auto tagging. Click "New Document" button. It will open a window similar to the one shown below. Start typing and it will show the available diagram types. Select the diagram type you want to draw. 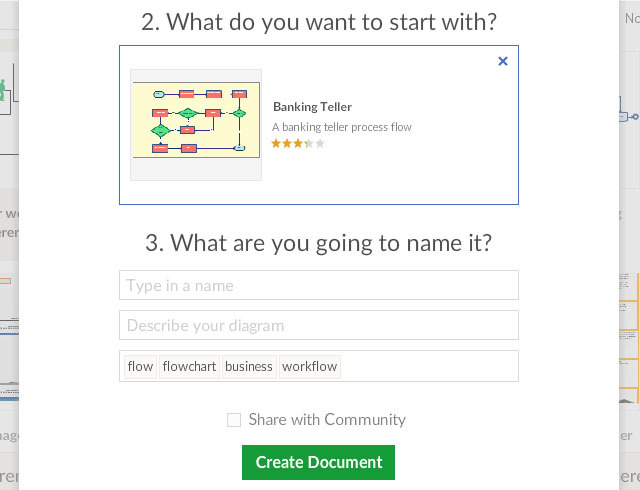 Select a Template or Start with a Blank Diagram. 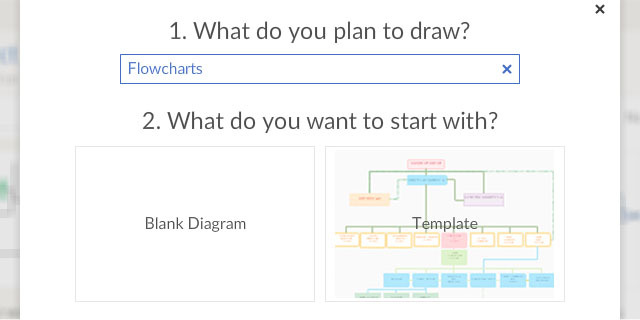 After you select a diagram type you can get started quickly with professionally designed templates or simply start with a blank diagram. We will load the necessary libraries for you. Name it and Tag it As the final step give your diagrams a suitable name and tag it so you can easily relocate it and help others find it easily.